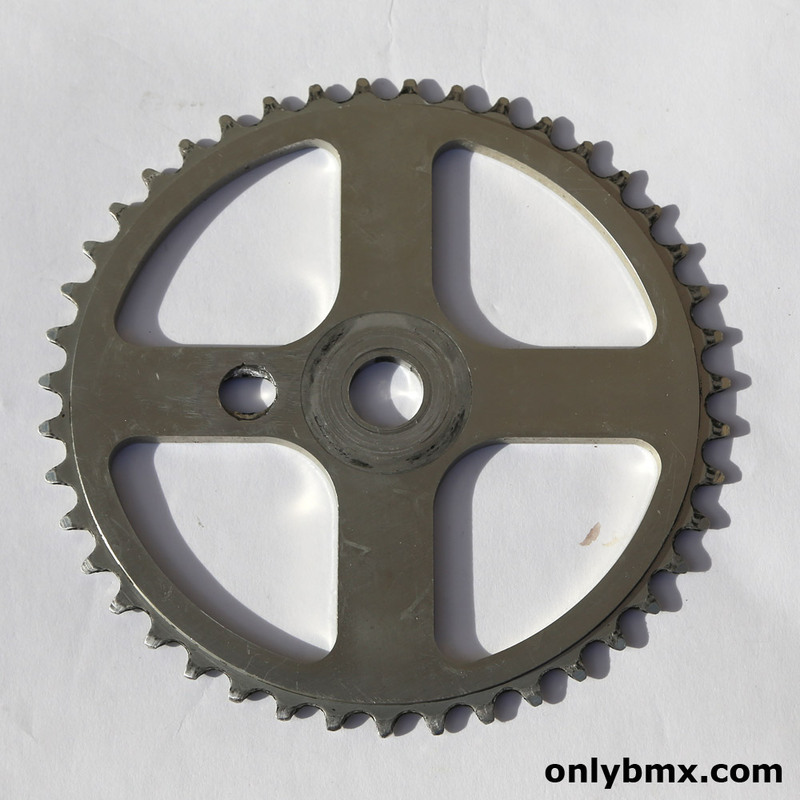 Redline 43 tooth sprocket or chainwheel and the perfect addition to the Redline Flight cranks. This is original finish so the nice matt/satin finish and hasn’t been polished to a high gloss finish. 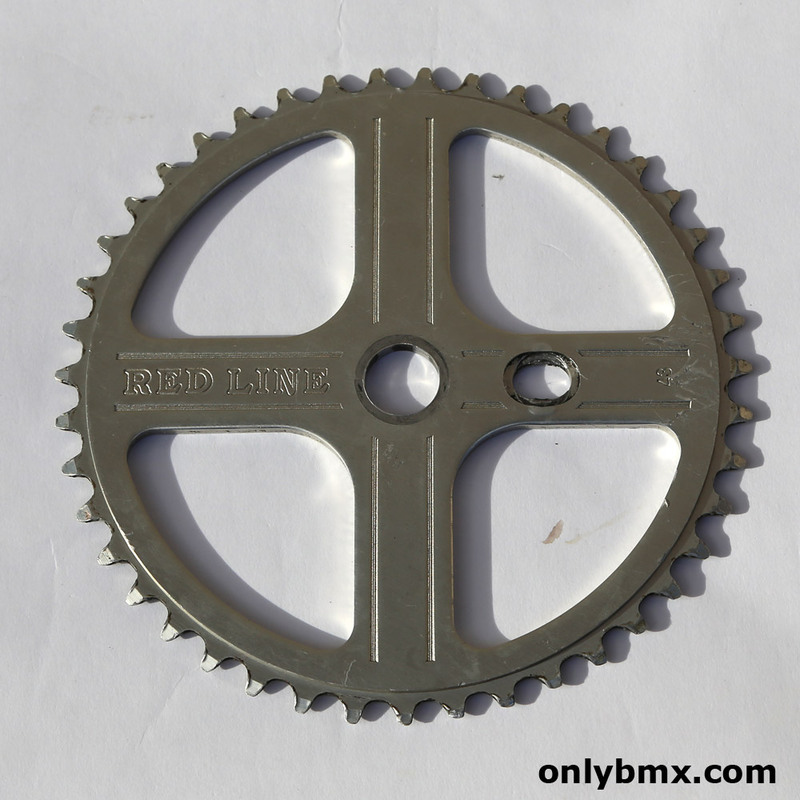 It is used so has a few marks here and there as shown in the photos. The holes are still nice and round and haven’t been damaged by poor installation. 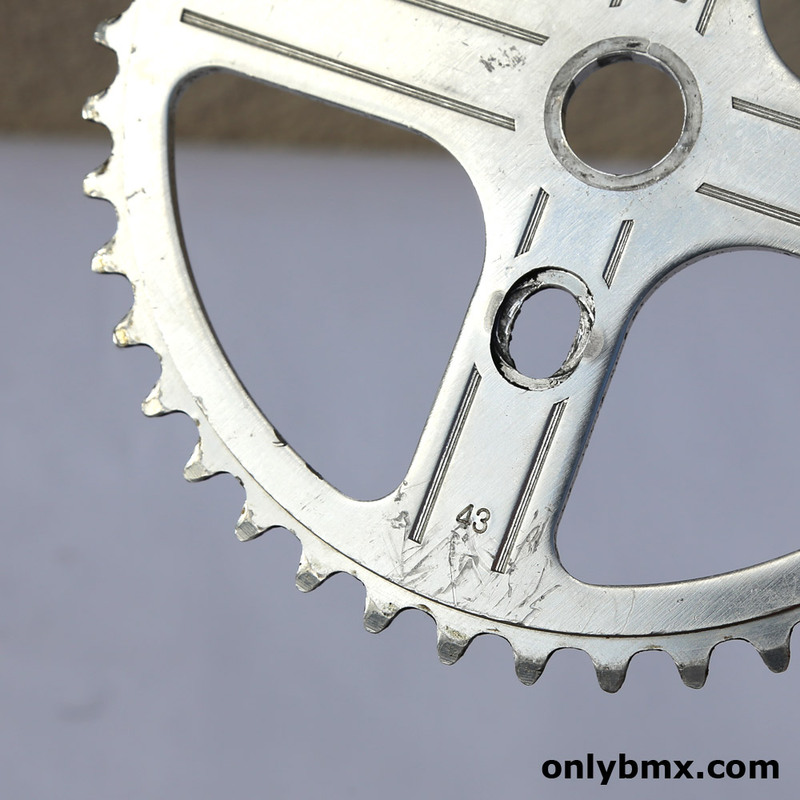 It is the earlier bubble font type sprocket and is era correct for the very late 70s/early 80s type builds that usually had Flight cranks without a pinch bolt or single pinch bolt and full wrap around the pedal bosses.